Edinburgh Gay Men's Chorus - 2018-05-14 - Chorus news item: Various Voices 2018! 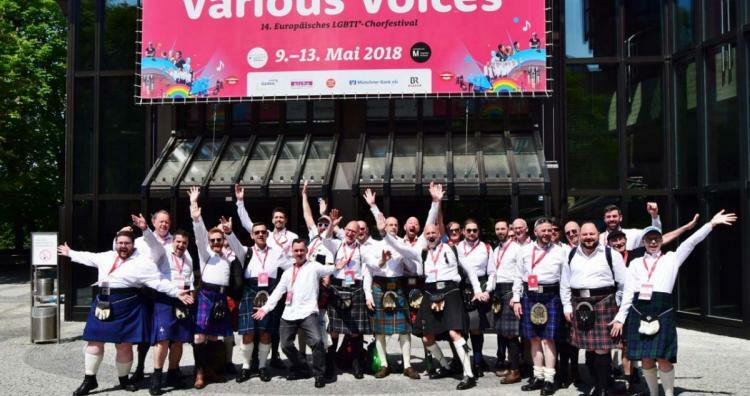 Edinburgh Gay Men's Chorus flew to Munich for Various Voices 2018, the European LGBTI* Choir Festival. We sang some of our favourite songs on the Carl-Orff Saal at the Gasteig and later on sang on Lake Starnberg during the Boat Party! A whole week of hearing LGBT+ choirs fabulous arrangements, making new friends and showing off our kilts, we're already looking forward to the next Various Voices!